I have been a field engineer (for two different companies) for the last four years. That means I spend most of my time in the workshop or office planning projects, but very frequently go to the rig to run a project for a few weeks. I work in the ultra-deepwater Gulf of Mexico on floating drilling rigs doing subsea oil well control – basically preventing Deepwater Horizon type accidents. Oil companies are very publicity-shy, and I am not authorized to represent my employer to the public, so I’d rather not say who I’ve worked for. See also by me: Careers: What kinds of problems does a subsea hydraulics engineer solve? I work on some of the biggest, nicest drilling rigs in the world. I work on some of the biggest, highest-profile energy projects in the world. I am a part-timer on multiple rigs instead of being part of a permanent rig crew. I am an engineer (and a Northerner). Most drilling is done on small, old land rigs in fairly well-established fields doing repetitive cookie-cutter wells. Most people who work in the US oilfield are southerners with a high school education. Please don’t take that as disparaging them in any way – most college grads are too prissy about grease and manual labor to survive in that type of job. There are a ton of smart people on drilling rigs who just didn’t take the academic route for whatever reason. Of course, there are also a ton of ignorant, racist, sexist dumbasses! But that’s the nature of the beast. Anyway .. there are a lot of people like me in the oilfield, but we’re definitely in the minority. The cost to lease this rig to drill deepwater wells is around $700,000 to $1 million per day, and it takes 150-200 days to drill and complete a deepwater well. Pricey stuff. What do you get for all that money? It’s a dynamically-positioned fifth-generation drillship with a dual derrick capable of supporting 2 million pounds of pipe. (That’s 3 to 6 miles of vertically-hanging pipe depending on the size.) It uses GPS, sonar beacons, and six enormous 360-degree thrusters to hold position over a subsea well. It is over 800 feet long and can keep the center of the drilling rig stable within a few feet, in any weather short of a hurricane. A couple of my buddies were just in the Gulf riding out hurricane Isaac recently, actually. They shut down operations, but stayed in the area because they were “only” experiencing 15 foot seas and 40 knot winds. It’s super exciting the first couple times you do it, but all the regulars just go straight to sleep. Hearing protection is mandatory in flight, because helicopters are freakin’ loud. The white noise really does lull you to sleep, though. Once you arrive on the rig for the first time there is a mandatory one to two hour safety briefing. You watch a video, fill out medical paperwork, and listen to a speech about rig-specific rules like what to do with laundry. Then you’re free to go meet with coworkers, find your bed, grab a snack, get to work, or whatever. Most deepwater rigs can hold around 180-200 people at a time. 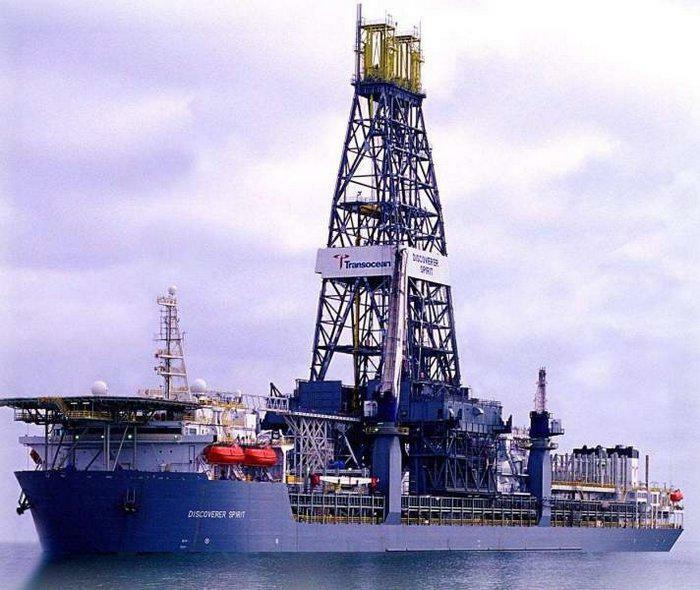 Most of the people on board are employed by the rig contractor. Wikipedia has a decent list of standard rig positions: http://en.wikipedia.org/wiki/Rou… A few of the people on the rig (5-15) are employed by the oil company to supervise, direct operations, and make sure everything is done safely and in compliance with the law. There are also quite a few catering/cleaning staff, as well as various third party contractors that come and go to do specialized tasks. In my current job, I’m one of the oil company representatives. 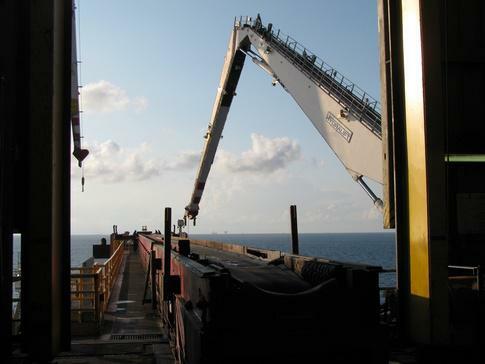 I show up when a particular phase of the well construction process requires subsea expertise. We try to be friendly and develop positive relationships with everyone on the rig, but to be honest, the logo on my company shirt pretty much guarantees everyone treats me with respect whether I deserve it or not. I can remember a couple times when I really put my foot in my mouth and the rig crew just dropped it. In contrast, in my previous job as one of the third party contractors, the rig crew was quite happy to tell me where to stick it, and then kick me off the rig floor. These days, I’m in an advisory/supervisory role for very complex equipment. I walk around and look at stuff to make sure it’s being operated correctly. I assist with writing and reviewing procedures. I suggest what to do when things break. I write a lot of reports. I do risk-assessments and look for possible failure modes. It’s usually fairly low-key, but you remember how I said operating an oil rig costs about a million dollars per day? Well, unfortunately for me, the subsea equipment is what breaks the most often and when the rig goes on downtime there is a huge amount of pressure to do my job right. When something goes wrong, we work around the clock and we work hard. It’s pretty nerve-wracking when you’re new (every minute of delay literally costs $700), but after a while, you get used to the pressure. I love it now. The high stakes environment and satisfaction of saving millions of dollars is quite addictive. For legal reasons I can’t distribute most of the pictures I take offshore, but here’s a few that should be pretty harmless. Many parts of the rig are terrifying to people who have issues with heights. It’s the outboard walkways that bug me – falling overboard at night means near-certain death. They’ll never even find a body. Even in summer in the Gulf, with average water temperature of 80F, hypothermia still sets in within a couple hours. 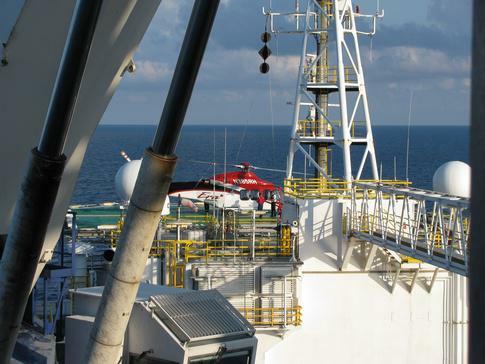 You get used to heights pretty quickly or you stop working offshore. 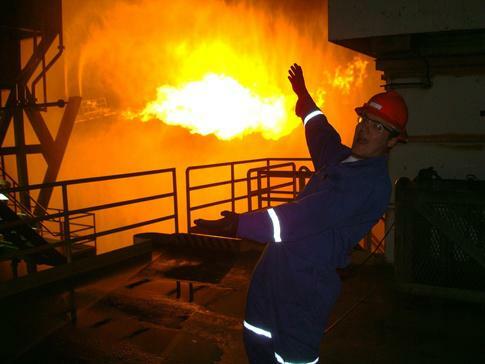 Me as a trainee in front of a 60 ft gas flare during a gas well flow test. Sweet coveralls, right? How realistic are Iraq’s goals for increasing its oil production dramatically? If the price of oil is $100 a barrel, how is the money distributed? Is it possible for an untrained person to immediately become an oil rig worker?